HTC’s path over the last few years has been rather rocky. While it’s really tough to pinpoint the exact reason why they’re in their current predicament in the mobile space, it can be due to the sudden and significant push by the vast Chinese makers that have surged out of nowhere to produce low-cost devices. Once regarded as a gleaming player in the space, the Taiwanese company is still trying to remain relevant. Early this year, they revamped its flagship line with the introduction of the HTC 10 – a phone that dropped the “One” moniker completely. For the latter part of 2016, they’re introducing the HTC Bolt (no, not the Thunderbolt), which as its name implies, would emphasize speed above everything else. Based on the specs sheet, it seems very much like a tweaked HTC 10 with some new additions, but it’ll be exclusive to Sprint where it’ll be going for $25 per month over 24 months with installment billing; basically $600 outright. 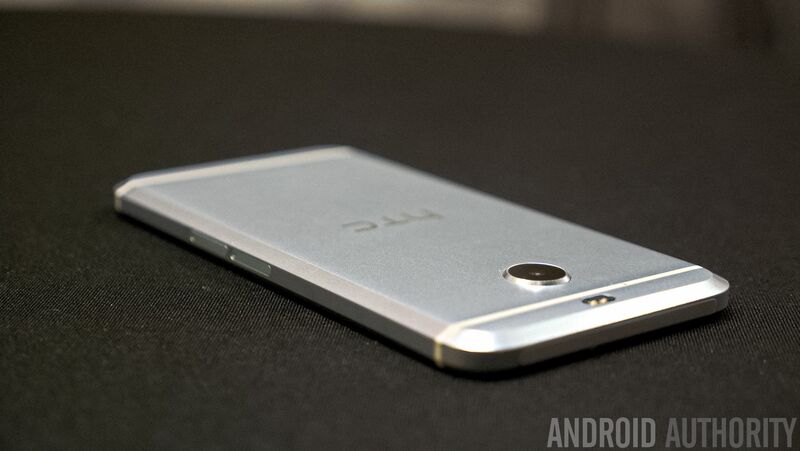 Here’s what you need to know about the HTC Bolt. At first glance looking at the Bolt from the front only, it’ll draw comparisons to the HTC One A9 from last year – mainly because of how it too features a slightly recessed home button/fingerprint sensor beneath the display. But the Bolt follows very much after the HTC 10’s design, evident by its unibody aluminum chassis and those thick chamfered edges along its edges to give it a distinctive silhouette. While it’s certainly nothing new, there are a couple of noteworthy changes that make it different. 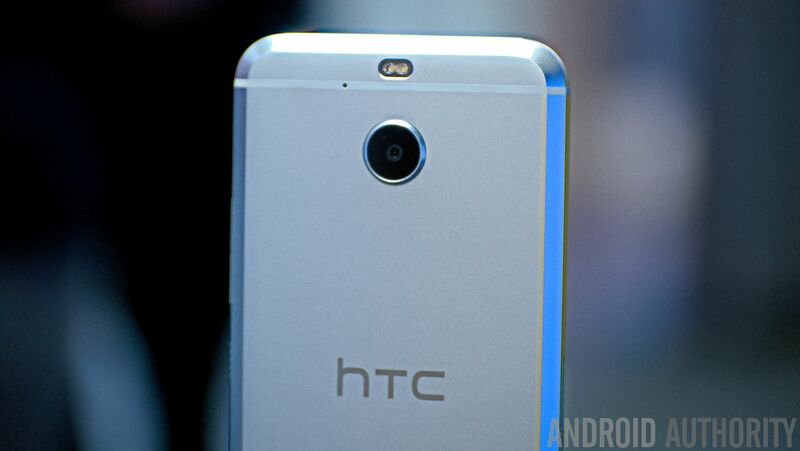 First of all, HTC has managed to provide the Bolt with a certain level of water resistant protection. With its IP57 rating, the HTC Bolt can technically withstand submersion under 1 meter of water for up to 30 minutes, but it’s still something that the company advises you refrain from doing. And secondly, the headphone jack has been eliminated, we’re told to not only achieve this water resistant construction, but to also provide the Bolt with some Hi-Res audio with the included USB Type C headphones. Thankfully so, the HTC Bolt maintains Quad-HD resolution (1440 x 2560 pixels) with its display, to ensure there’s no compromise with details. At the same time, too, the Super LCD 3 panel has increased in size to 5.5-inches for more ample space to play around with – while curved-edge Gorilla Glass 5 safeguards everything. Given the increase in size and its Quad-HD resolution, there’s really nothing to complain about here. Qualities about the display observed during our quick hands-on time include colors exuding a neutral tone, clarity remains intact at wide angles, and its brightness output seems sufficient enough to make out whatever’s on screen. When we think of speed, our first inclination is to think about the processor under the hood. That’s surprisingly not the case here for the Bolt, since its implied speed relates mostly to its internal radios and data connections. The processing punch is handled by a tweaked octa-core 2.0GHz Qualcomm Snapdragon 810 SoC coupled with 3GB of RAM. Who knows why this decision has been made, given that we’re probably on the heels of a new chipset from Qualcomm, but don’t let that scare you into thinking this is a compromise. It’s far from it, evident by its responsiveness just navigating around the UI. Internal storage here is set to 32GB, which has become the new standard we suppose for most phones in this category, but there’s room for expansion via the microSD slot. Going back to the fingerprint sensor, it functions in the same capacity you’d expect to secure the Bolt – while also doubling as the home button. It’s flanked, of course, by the capacitive Recent Apps and Back buttons. Another feature worth spending the time to talk about relates to the audio experience, which is called HTC BoomSound Adaptive Audio. 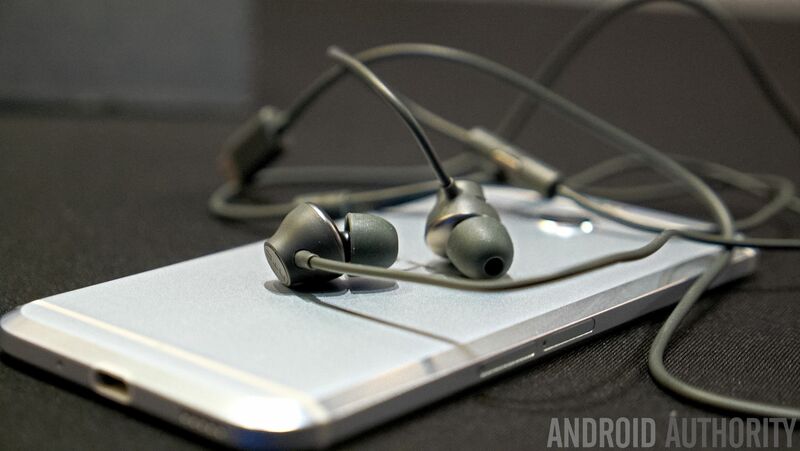 Just like the HTC 10, the Bolt is fashioned to deliver an immersive audio experience. The included USB Type C headphones, in particular, will intelligently scan your ears and the surrounding ambient noise to adjust itself to the most optimal settings – so that it’s fine tuned to your particular liking. The last and most important part about the HTC Bolt is the potential of its unprecedented network speeds running off Sprint’s LTE Plus Network. To be fair, we’re not able to experience this for ourselves, seeing that it’s not yet available in the New York City market, but its support for 3×20 MHz Carrier Aggregation thanks to Qualcomm’s Snapdragon X10 LTE modem. That’s something to look forward to down the road as it expands, of course, but in the meantime, it won’t be something that’ll be readily available for customers to experience. At the moment, it’s really difficult to say whether its cameras are going to be solid performers until we snap photos for ourselves. Regardless, the specs seem tantalizing enough to like, but it’ll be interesting to see whether or not it can at the very least match the HTC 10’s performance. On the back, it’s fashioned with a 16-megapixel camera featuring OIS, BSI sensor, f/2.0 aperture lens, dual-LED flash, and 4K video recording. For the front-facing camera, it’s an 8-megapixel snapper that should hopefully deliver pleasant looking selfies. Anyone that has used an HTC 10 will be familiar with the interface here with the Bolt, as it’s running HTC’s Sense UI on top of Android 7.0 Nougat. While the look and feel of Sense remains intact, we definitely see some of Nougat’s influences in the form of native multi-tasking, quick switching between apps, bundled notifications, and much more. All of Nougat’s features are naturally supplemented by Sense’s features as well, which has been limited to things like BlinkFeed, custom homescreen themes, Sense widgets, and the usual slew of Motion Launch gestures. Overall, it gets the job done like any other custom Android experience, but it’s just a matter of liking its particular style. What’s shocking about the HTC Bolt is its exclusivity to Sprint, something that we haven’t seen since probably the HTC One M8 Harman Kardon Edition from 2014. Exclusives are a rare occurrence nowadays, so it’s surprising, needless to say. Glazing over the specs sheet and its design, the $600 outright cost of the phone seems mighty convenient in comparison to some other recent releases, but we have to remember that we’ve seen several other high-spec’d phones launch under the $500 threshold. Indeed, the speed potential of the phone on Sprint’s LTE Plus Network is alluring for those who don’t mind paying for the data access, but it’ll take more than just a speedy data connection to become part of the elites in the space right now. The price is good, especially with than new water resistant design, but the HTC 10 can be picked up for close to the same price.